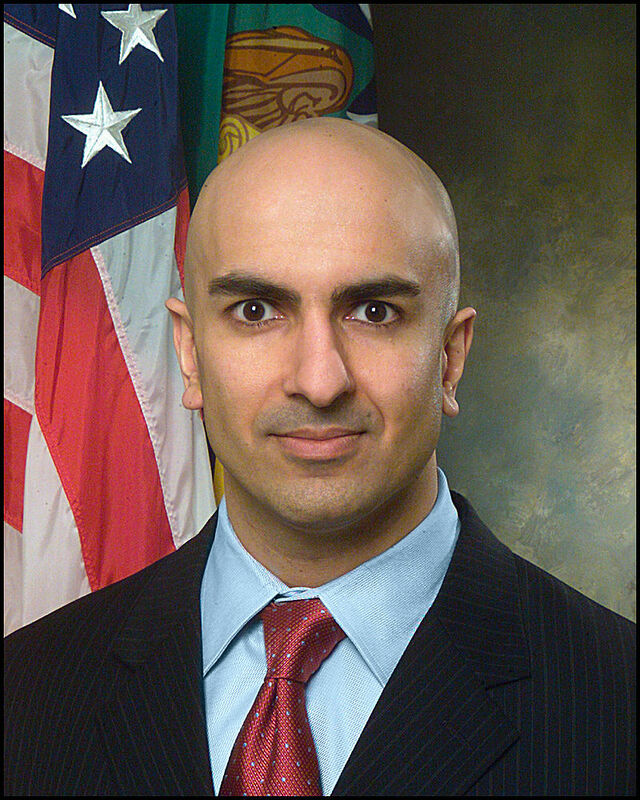 Neel Kashkari is the president of the Federal Reserve Bank of Minneapolis. He is currently a voting member of the Federal Reserve Open Market Committee, the monetary policy committee of the Federal Reserve that sets Fed interest rate policy. (Regional Fed presidents get to participate as voting members of the FOMC on a rotating basis.). Previously, he was interim Assistant Secretary of the Treasury for Financial Stability from October 2008 to May 2009, he also oversaw the Troubled Asset Relief Program. These were the crony bailout programs that saved the powerful crony sector of Wall Street. He stick-handled the crony bailouts. Before joining the Treasury under Hank Paulson, a former president of Goldman Sachs, Kashkari, himself, Kaskari was a managing director at the crony bank. At its most recent meeting, March 14-15, the FOMC voted to hike the interest rates it controls by 25 basis points. The vote to raise rates was 10-1. Kashkari was the only FOMC member to vote against a rate hike. His "no" vote makes him the most dovish current member of the Fed. It should also be noted that he is the most politically active. He ran as a Republican in a failed bid for Governor of California in the 2014. His political activity and Goldman background no doubt influence his dovish stance. Kashkari has now taken to Medium to explain his vote, surely a move in line with someone still thinking elected politics. What is most remarkable about his explanation for his vote is its linear backward looking take on price inflation. It appears that because price inflation has not been climbing at a rapid pace in recent years, he is not concerned that an acceleration could take place. We look at where inflation is heading, not just where it has been. Core inflation, which excludes volatile food and energy prices, is one of the best predictors we have of future headline inflation, our ultimate goal. For that reason, I pay attention to the current readings of core inflation. In summary, inflation is still below our target. While there are some signs of inflation slowly building toward our target, it isn’t happening rapidly, and inflation expectations appear well-anchored. Not much has changed since the last FOMC meeting. Kaskari seems to have no sensitivity at all to the possibility that price inflation can accelerate in the future faster than current trends. He is stuck in a mind warp of past data. It was, by the way, a mind warp of past data that resulted in analysts missing the subprime crisis. It appears that Kashkari has no awareness of the role that changes in the desire to hold cash balances influence price inflation. As consumers become more confident about the economy, their desire to husband cash shrinks and they are more willing to spend the cash in their wallets. This additional bidding for goods and services can accelerate price inflation far more rapidly than recent past trends. The FOMC members are not an impressive lot in recognizing this potentiality but the Goldman schooled Kashkari is the worst. I didn't know Imhotep lived in Minneapolis. That's quite the climate change from the desert sands of Egypt.